President Barack Obama visited Charlotte today to speak at the American Legion’s annual national convention. The president justified air strikes in Iraq against the group ISIL, which has taken over large territories of the country. During his speech, President Barack Obama said, "our military action in Iraq has to be part of a broader strategy to protect our people and support our partners to take the fight to ISIL." “The limited strikes we’re conducting have been necessary to protect our people, and have helped Iraqi forces begin to push back these terrorists,” President Obama said. He pledged to “root out” ISIL and to retaliate for the murder of American journalist James Foley. President Obama reiterated earlier statements that actions against ISIL will not include sending U.S. ground troops into the country. “Ultimately it is up to the Iraqis to bridge their differences and to secure themselves,” he said. President Barack Obama was in Charlotte today to introduce the new Secretary of Veterans Affairs Robert McDonald and to announce that he will sign 19 new executive actions to help veterans. He spoke to a packed hall of veterans with the American Legion at the Charlotte Convention Center during their national conference. The American Legion was one of the first veterans groups to call for the resignation of Veterans Affairs Secretary Eric Shinseki after an inspector general report this year found that veterans were waiting months to get an appointment. On Tuesday, President Barack Obama will be speaking at the Charlotte Convention Center to a crowd of veterans attending the Legion’s national conference. His remarks will be followed by a speech by the new V.A. Secretary Robert McDonald. He replaced Shinseki after he resigned earlier this year. And the V.A. is on the minds of many veterans attending the conference. Monday night, about two dozen veterans participated in a town hall meeting to air their grievances and share their experiences with the V.A. system. 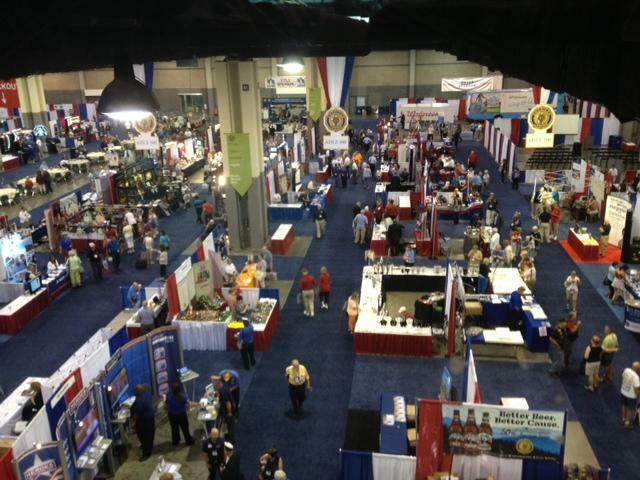 This week about 5,000 delegates of the American Legion are in Charlotte for the organization’s national convention. This year’s gathering is marked by the recent uproar over accusations of mismanagement at the Department of Veterans Affairs and long wait times at VA centers around the country that some of have said led to deaths that could have been prevented. President Obama will speak at the convention Tuesday. WFAE went to the convention uptown to speak with the American Legion’s National Commander, Daniel Dellinger.